When you’ve got a power lunch on your schedule, you want to pick the right spot. It’s got to have delicious food and it should probably offer a good selection of drinks to suit your clients’ tastes. The seating should be comfortable for pencil skirts, the ambiance should be welcoming for making meetings while on your meeting, and the service should be impeccable. Nothing worse than a crap martini.Throw in a wait staff that knows when to bring your food, when to clear away plates, and when to leave you alone so the decision making can happen. 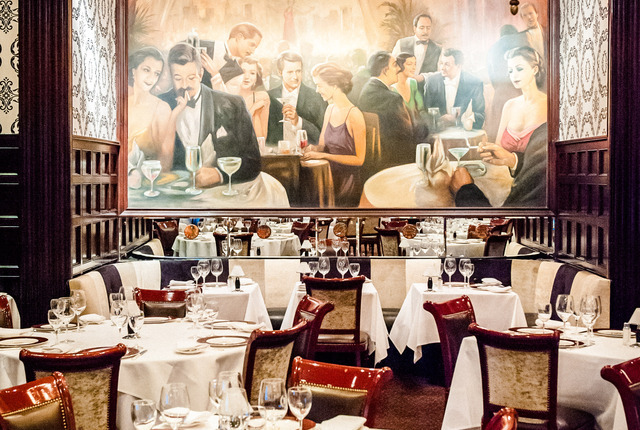 Where should you go when a diner won’t cut it, Four Seasons is too obvious, and any chophouse worth its salt will be jam-packed with cranky tourists come lunch time? 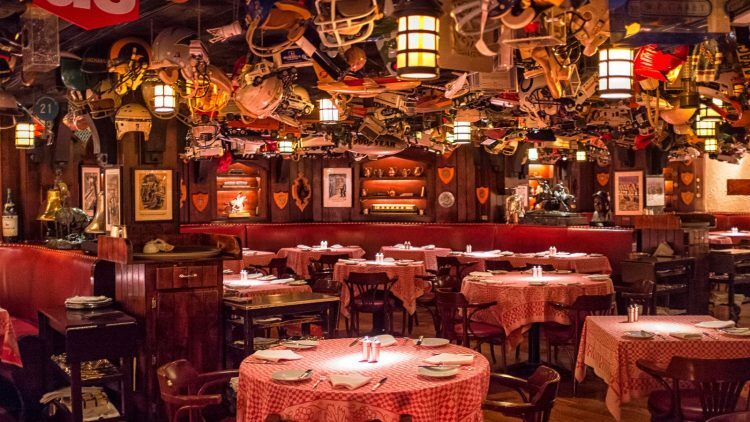 Check out one or all of these five power lunch restaurants in New York City. You may just run into me. If you’re in the financial district, and let's face it - you are, you’re having lunch with clients. And you want a great, traditional, expertly prepared steak? Delmonico's. From a cigars and pastries to a corner plot Beaver St, this is American dream come to life has been leading fine dining experience since 1837. It's rich and formal interior is the perfect spot to show associates that you have great taste and a gracious spirit. The lunch menu does include some unbelievable seafood selections, but the dry and wet aged steaks are what you came to see. And the oysters...the oysters. A rich history abounds everywhere you look. As a professed brunch addict I must tell you Eggs Benedict was created here! While the hamburger steak is no longer 10 cents the Gold Crust burger is worth every single penny of that $30. Foie gras bun!?! Steaks run up to $50, but for Wall Street high rollers, it’s often a drop in the bucket. Order us a dry martini each, tuck your napkin on your lap, and let's talk shop as our steaks are being cooked to order. A New york Institution. For over 100 years The Grand Central Oyster Bar has been serving the freshest oysters and seafood in New York City at, you guessed it, right in the middle of Grand Central Terminal! You can dine with associates as you keep a keen eye on the comings and goings of business men and women, tourists, and the seemingly the entire world in this beautiful Beaux Arts building. Also as the name implies, oysters are a big feature: there are bivalves from literally all over the world. Happy hour includes clams, owners and martinis. No steaks, but you can choose from a huge variety of seafood and shellfish, smoked fish, live lobsters prepared to order and an impressive raw selection to subliminally show anyone that you don’t go in for under cooked business. Daily specials and menu mean you never have to have the same plate twice. To go with your seaworthy delights, there are postcard inducing house made sweets, over a dozen craft brews on tap, and a pretty tasty wine list. (Drink tip: hit up the restaurant on Mondays. Trust me.) Prices for are comparable with other NY seafood restaurants; expect to pay at least $25 per large plate, but also expect to wow your clients with some of the freshest and most historical seafood power lunch in the city. For power lunchers who prefer something lighter and a touch more not a chophouse, the Japanese restaurant Nobu 57 is perfect. 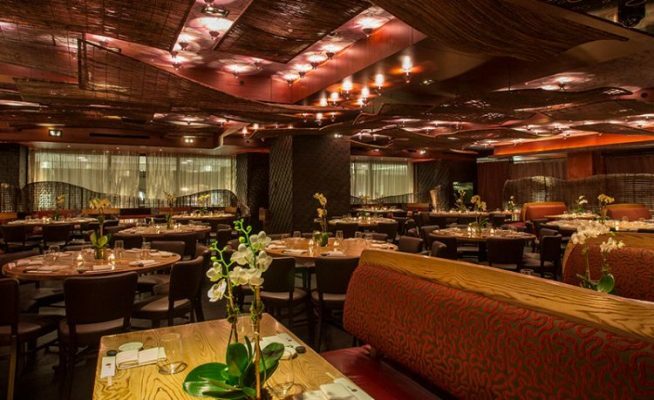 The '57' refers to the restaurant’s address (it’s on 57th between Fifth and Sixth), and the Nobu name (as in, head chef Nobu Matsuhisa) is synonymous with gorgeous 'gramable sushi and fresh Japanese dishes. Cold and hot plates are available, but the real stars at Nobu 57 lunch are the creations from the sushi bar. Order a large platter of rolls, nigiri, and sashimi for the whole table, or, if you’re with just one or two associates, sit at the bar for a tongue-melting omakase experience. Wine and sake - YES are available, and costs are remarkably reasonable for the top quality sushi and high-end Japanese you are experiencing. Nobu is great for a lunch meeting when you want to communicate both power and your ability to properly use chopsticks. Coordination and dexterity are extremely important in...any business. I would be remiss if I didn't point out Sunday Lunch. Just go do it. I promise you will love yourself for it. And me for telling you about it. Actually - I'll go with you. What time? Part of Michael White's small restaurant empire of (mostly) Italian establishments, this spot on the southeast corner of Central Park is satisfying on many levels. White tossed his line in the water at his seafood-oriented Marea, and caught the big one. A meal might best be enjoyed with someone who has a *cough* healthy expense account, but it’s worth it; at times Marea’s menu is transcendent. Throw back the caviar and hard-to-find raw fish amid the crudos and dive into the Italian-accented seafood pastas: octopus-and-bone-marrow-laced fusilli is a meal in itself. Main courses might range from grilled swordfish with braised cabbage and green apples to roasted duck breast with a chestnut ragù, baby turnips and dried cherry. Guests can also compose a four-course prix-fixe menu ($99) or request a tasting menu with wine pairings. Umm...YES! The wine list is extensive and offers some affordable selections. Desserts to go. I mean... there's hotel attached to it. Connect those dots. 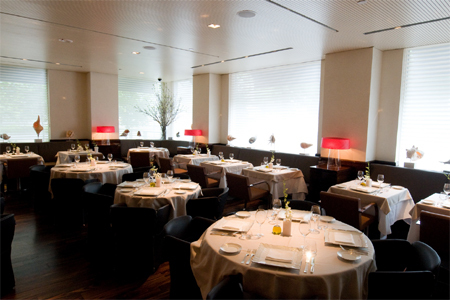 The Nomad, the younger, more informal sibling of Eleven Madison Park, is quite a place.The dining rooms, which include a light, airy atrium and a more intimate book-strewn library, evoke the feel of Old New York. 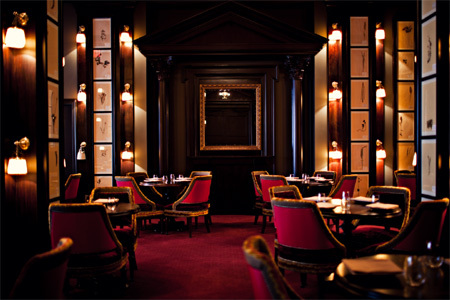 The Parlour features dark wood furnishings, red velvet chairs and soft lighting. Among starters, consider the poached egg, its yoke, when broken, becoming stew-like with crunchy quinoa, asparagus and Parmesan; or citrus-infused tagliatelle with snow crab, refreshing in the warm-weather months. Crunchy radishes come coated in cold butter and sprinkled with flaky sea salt. Moving on to mains, pink, tender duck breast and bone marrow-encrusted beef compete for attention. The menu's tour de force, however, is the chicken for two, laden with black truffles and foie gras and presented in the pot in which it is cooked and then taken back to the kitchen to be sliced. For dessert, check out the "Milk & Honey" with shortbread, brittle and ice cream. Or go savory with a selection of cheeses from Switzerland to end the meal. The extensive wine list spans the globe and features everything from bottles priced in the four-figure range to less expensive options, and includes several selections by the glass. Cocktails are complex and well-balanced, like the Turf Cocktail, a twist on a martini with a touch of absinthe. Who says you can't mix business with pleasure? I trust this has been an informative jaunt through some of my favorite places. If you see me there, send a Hendrick's Gin Martini shaken 'til the ice breaks with a lemon twist. Will We Really Need To Wear This To Advertise ? How will the shutting down due to Sesta, effect us ladies ?